NISHINOMIYA, Japan -- Koryo catcher Shosei Nakamura hit two homers in the Hiroshima team's 12-9 semifinal victory over Nara's Tenri at the national high school baseball championship Tuesday, rewriting the record of home runs hit by a player in a single tournament. Nakamura tied the five-homer mark set in 1985 by then PL Gakuen slugger Kazuhiro Kiyohara, when the 18-year-old hit a two-run clout in the first inning at Koshien Stadium. He followed with a record-breaking solo shot, his second off Tenri ace Ryota Usui, to tie the game at 4-all in the fifth. 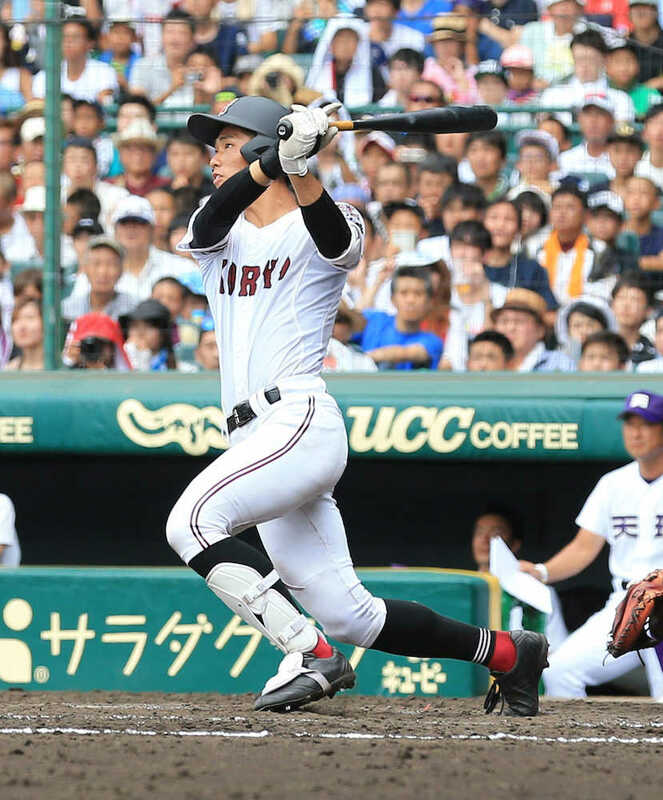 Earlier in the annual summer classic with a history of over 100 years, Nakamura homered twice against Chukyodai Chukyo of Aichi Prefecture in the first round, and once each in the second and third rounds against Kumamoto's Shugakukan and Fukushima's Seiko Gakuin, respectively. In Tuesday's game, Ginjiro Hiramoto hit a go-ahead, two-run single in the sixth to turn the tide for Koryo, and Nakamura drove in three more runs on a bases-clearing double in the seventh on a 4-for-5 day as the school advanced to the final for the first time in 10 years. In Wednesday's final, Koryo faces Hanasaki Tokuharu of Saitama Prefecture, which defeated western Tokyo representative Tokaidai Sugao 9-6 in 11 innings in the other semifinal game Tuesday.